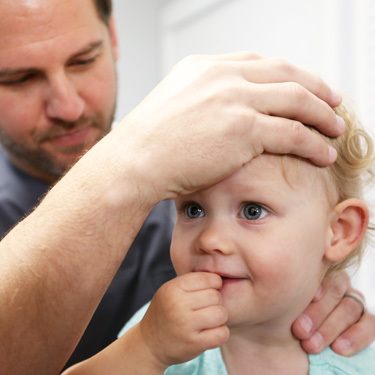 Dr. Johnson has a particular focus on providing chiropractic care for expecting mothers, babies and children. 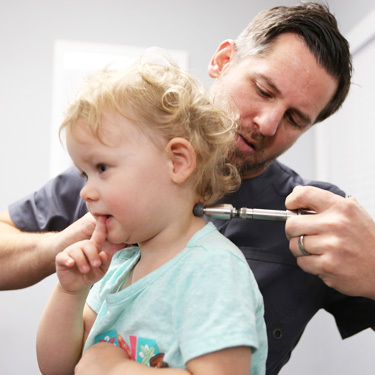 With extensive studies on pediatric and prenatal care, he has the knowledge, skills and passion to restore the health of every member of your family. Why Choose Chiropractic During Pregnancy? When you’re pregnant, you deserve to have a comfortable experience and feel confident about giving birth to your baby. Studies show that moms under chiropractic care enjoy shorter delivery times, a lower chance of interventions during birth and quicker recovery times, as well as boosted mental well-being during their pregnancy. Dr. Johnson’s first child, a son, was born by cesarean section instead of the home birth he and his wife had hoped for. The doctors’ greatest concern is getting the baby out, not their spine, which results in twisting, tugging and pulling on the infant. Dr. Johnson adjusted his son within an hour to make sure that his spine was properly aligned. The children in our office are sick less often than their peers, and when they do have an illness, they can recover quickly. Often, a fever breaks immediately after an adjustment. Many children in the age range of 8-13 have complained of headaches from looking at their computer, phones and tablets, which puts a strain on their neck. We’ve also helped children with allergies, bed-wetting, concentration issues and sleeping problems, which can seem like a miracle to parents with an infant who doesn’t sleep well. Are you having trouble conceiving? Perhaps you’ve sought out medical avenues such as in vitro and are still hoping for the baby you’ve wanted for so long. One of our former chiropractic assistants had polycystic ovarian syndrome, or PCOS, and was told that she would likely never get pregnant. 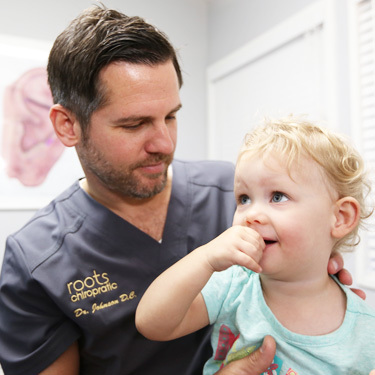 After a few months of working with Dr. Johnson, she got pregnant and had a healthy little girl. Though she doesn’t live in the area anymore, she travels over an hour for her appointments, and we’re happy to report she has a second daughter on the way. Most people think of chiropractic as a last resort. By allowing the body to heal itself and return to homeostasis, it can do what it was designed to do. If you’re concerned about your fertility or have irregular menstrual cycles, we may be able to assist you. Contact us today to schedule your first appointment! We have same-day visits available.